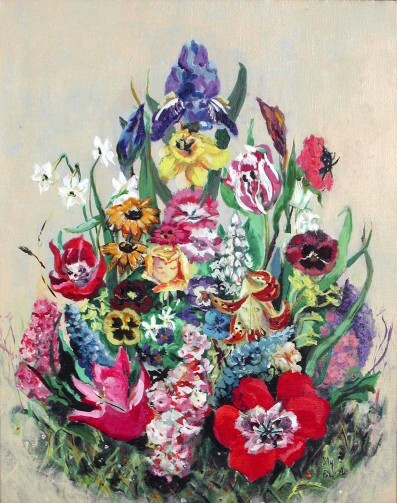 Lily Byrd, Faces in Flowers, circa 1968, oil on canvas, 20.37 x 16.12 inches. Gift of Dr. & Mrs. Pearce Roberts, Jr., 1983.04.21. Lines, shapes, and color are found in plants, animals, rocks and throughout our natural world. Students create both 2-dimensional and 3-dimensional nature inspired art using a variety of drawing and painting materials.